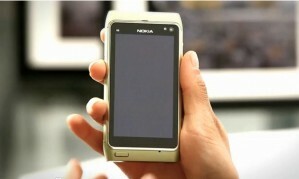 Today, the first official unboxing of Nokia N8 have appeared. Not with just a simple unboxing that people do, but they come up with new styles to unbox the N8. Also they got the spanking, geeky, hot models to unboxthe Nokia N8 for us. It’s truly a season joy and these are really a good treats before we finally get our Nokia N8. So get ready to hit the play button now! Smarty Ryan unboxing the Dark Grey Nokia N8, well it’s kinda Black, isn’t it? Hottie Suzy playing the Green Nokia N8 after unboxing it. and hopefully i’ll be unboxing the orange 1 i’ve pre-ordered 2day from nokia in about 2 1/2 to 3 weeks. Can’t wait 2 get my hands on it.